Commercial Cleaning Boston, Somerville And Cambridge - From Janitorial Services To Office Cleaning, We Have You Covered | Outstanding Cleaning Inc. Your clients expect to be able to visit your business and experience a clean and inviting space, therefore, you should expect your commercial cleaning service to thoroughly clean and shine your facility with conscientious expertise. At Outstanding Cleaning, we consistently strive to not only meet those expectations, but to easily exceed them in every commercial cleaning job we take on. Delivered by a superior custodial staff, our services in commercial cleaning have been routinely recognized for unparalleled results throughout the Boston Metro area. We’ve helped hundreds of businesses be able to rely on our promise of consistency and quality in all that we do. 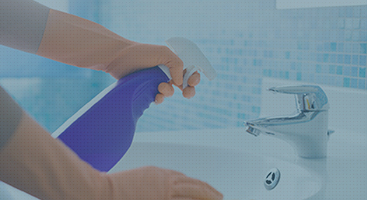 Office Cleaning – Including bathrooms, break rooms, workstations, and lobby areas. Medical Facility Cleaning – Including staff areas, public waiting rooms, bathrooms, patient rooms. We specialize in sanitation! Post-Construction Cleaning – Preparing new facilities for use, cleaning all surfaces from floor to ceiling. Contact the Outstanding Cleaning customer care team for your free custom quote on commercial cleaning in the Boston area. We promise a prompt, friendly response by a knowledgeable professional.